The Marius Bar Chair by Zuo Modern is a bold yet versatile piece that will create a unique atmosphere in your contemporary bar space. 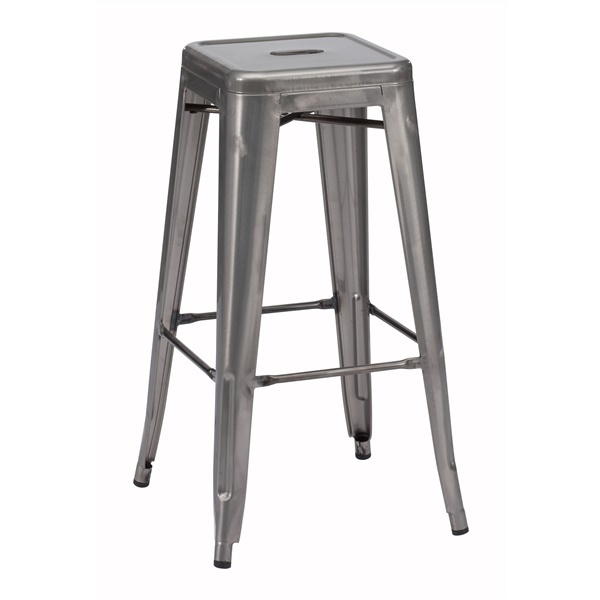 This modern bar stool features an electrical plated steel frame that ensures superior strength and durability. A sleek design and stunning gunmetal color will add elegant style to your modern bar. Because of its unique, all-steel construction, the Marius Bar Chair can be used for both indoor and outdoor bar spaces.